Energy4All will soon be launching a new Community Energy Society in the next few weeks and is looking for investors to support the initiative. 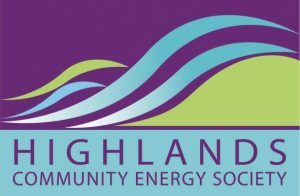 The Highland Community Energy Society will be the 24th in the Energy4All family of Societies and the fourth hydro scheme they have helped to support. The project is a series of hydro schemes in the Highlands of Scotland. One is currently in operation, another is soon to be commissioned and another four are in the pipeline. The new Society is looking to purchase a stake in each project as it comes online and will need to raise an initial sum of £900,000 to continue the programme of building the next four. Sustainability in Practice added 8 new photos. Sustainability in Practice added 2 new photos. Sustainability in Practice updated their profile picture. Sustainability in Practice added a new photo. In writing a section recently on Electric Vehicles for this website “sustainability-in-practice”, the experts I talked to kept emphasising how battery electric vehicles (BEVs) are going to improve city air quality, our grid and the efficiency of renewable power generation. The vehicle pollution we are increasingly seeing in large cities and even in Wellington Road, Aberdeen, is being caused by fossil fuel consuming lorries, busses and cars. The recent introduction of a few hydrogen busses will have little effect on the city’s pollution levels but the gradual substitution of internal combustion (IC) powered vehicles with BEVs will. And as BEVs are so much more efficient than hydrogen powered vehicles the city’s transport carbon footprint will fall too. The problem with renewables like wind and solar pv panels is that they have periods where they either generate no electricity or do so at a low rate. Cars are parked 95% of the time, so if they are BEVs and their batteries connected to chargers, their stored energy can be “borrowed” when they are not being used. All that is needed are smart chargers. These will allow the battery energy to be used when vehicles are parked but will ensure that the BEV is fully charged when its owner wants to use it. Heating of houses by gas will soon be phased out as we must reduce the burning of fossil fuels. We then must resort to electrical heating to take their place. Again renewables, as well as car battery storage to fill in the gaps, will be required to supply this heating and to keep the lights on.